I have 10 minutes to post this before I have to head out to work! I didn't put enough nutella in some of them. I topped some of mine with more nutella. 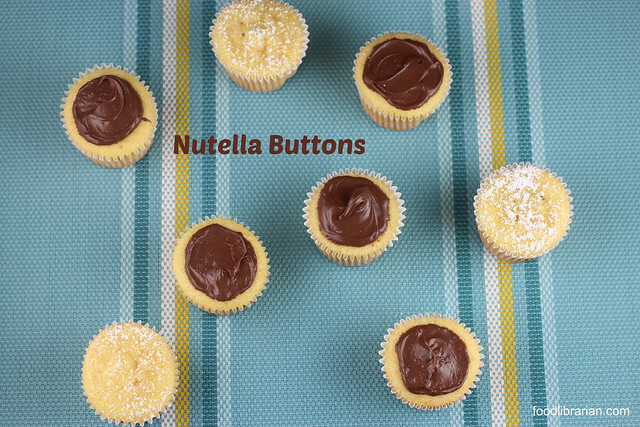 Because, really, you can't have too much nutella. This is a post for the awesome baking group, Tuesdays with Dorie. Out of time. See you later! 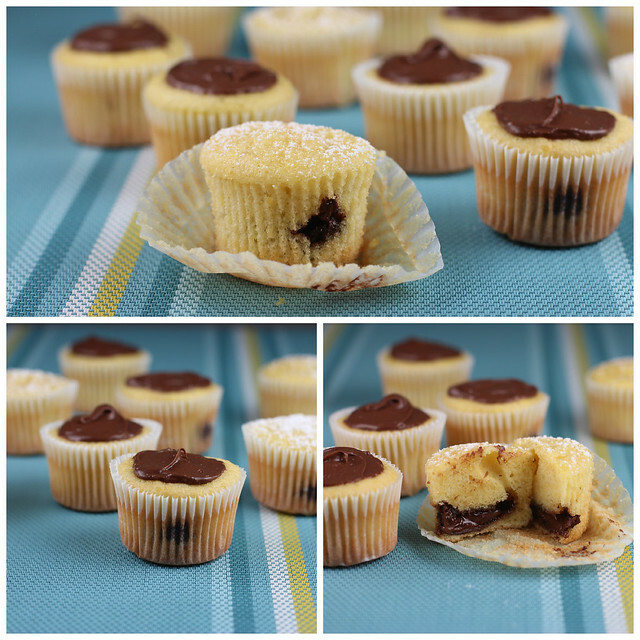 Be sure to check out the other Tuesdays with Dorie bakers and their take on this yummy recipe! Cute! I bet it was great with more nutella on top. Cute short and sweet post. Sadly, I forgot the butter in the cake!!!!! They came out looking perfect but were so dry and didn't taste good that I threw them away. I'm still thinking whether I should do a post for them or not. I'll bet they were good. short and too the point, but the pictures say it all anyway-- they look fabulous! they look nice and tall, too. Btw, love the top photo!! These are so cute! Small, but deviously chocolatey!